Can you help me identify my guitar? Re: Can you help me identify my guitar? dragonzrmetal, do you have a picture of the Lyon by Washburn HSS guitar? if not, can you post link to it. FYI, Lyon is to Washburn, as Squier is to Fender, and Epiphone is to Gibson..
Hi guys, sorry for bumping a 3 year old thread, but I joined the forum just to ask this. 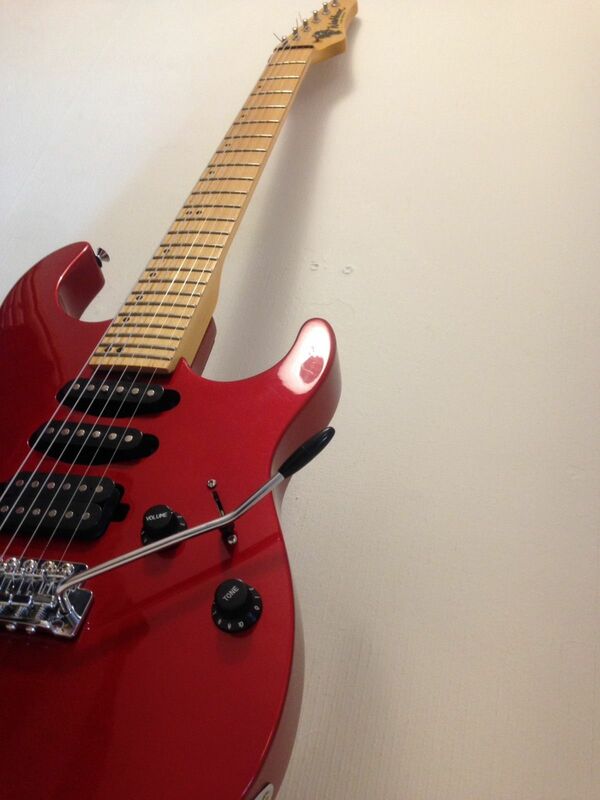 I just purchased a guitar that sounds almost identical to the one described above, but in red. I cannot find ANY info about it online anywhere, and bought it as a total gamble as I liked how it looked and I'm an idiot with money. 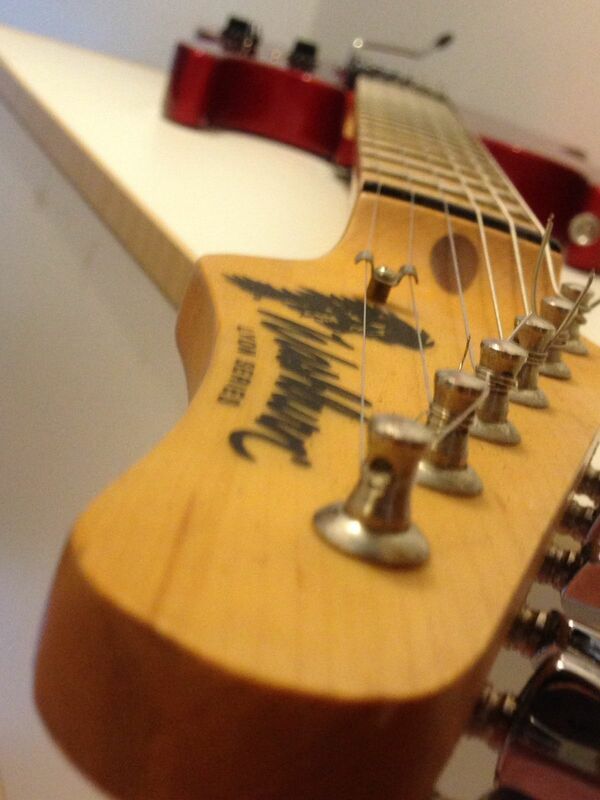 Maple fretboard, 24 frets, HSS, 5 way, 1 Tone, 1 Volume, headstock says 'Washburn' with 'Lyon Series' in small text underneath. Can anyone help identify it? I've emailed Washburn customer help too, but am yet to get a response. Based on further investigation, and looking at the catalogue history on the Washburn site, this is either from 1994 or 1995. The only Lyon Series models on there are the WE-1, WE-2 and WE-3, and based on the other info describe don there my model doesn't fit into any of them. 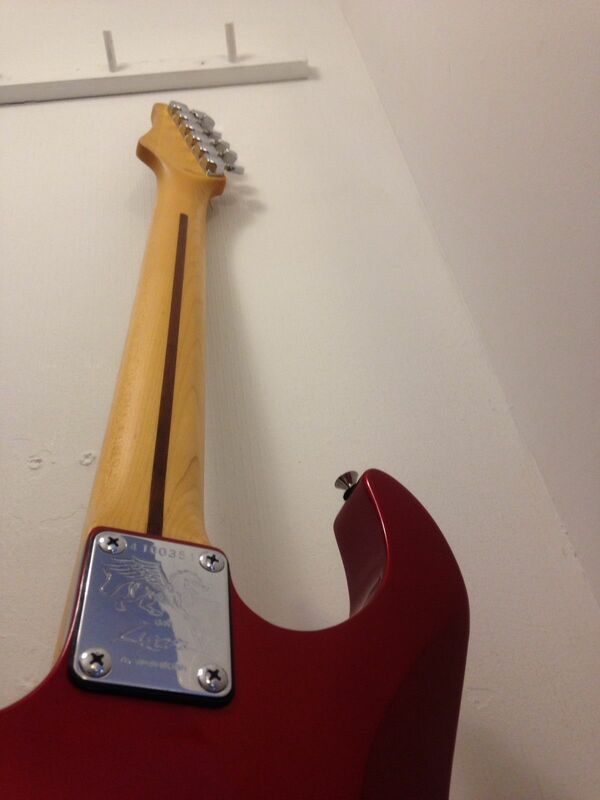 If both mine and dragonzrmetal's guitars are WE4 models like his neck suggests, does anyone have more info on these? Can't find anything about them! Lovely axe!! Yah, the WE were a short-lived experiment. WE-1: Strat (sss); WE-2: Strat (hss); WE-3: Tele. They mostly get ignored because of confusion with the Lyon brand. IME, decent copies. But I thought all the Lyons had Grover tuners (like the WE-1B sitting a few feet away). My best guess: your WE-4 was a short-lived attempt to crowd a "superstrat" in, but the line was cancelled soon after when they realized how hard it would be compared to putting the same effort into an original design: 1996 launched the BT line & expanded the MG, total three new models $350-$400, right about where the WE-4 would've been. I'd hesitate to call it "rare," but "unusual" is apt, maybe even "scarce." Agreed. It looks like a WE-4 with some oddities to it. Not really sure if it's worth much more than a few hundred dollars. 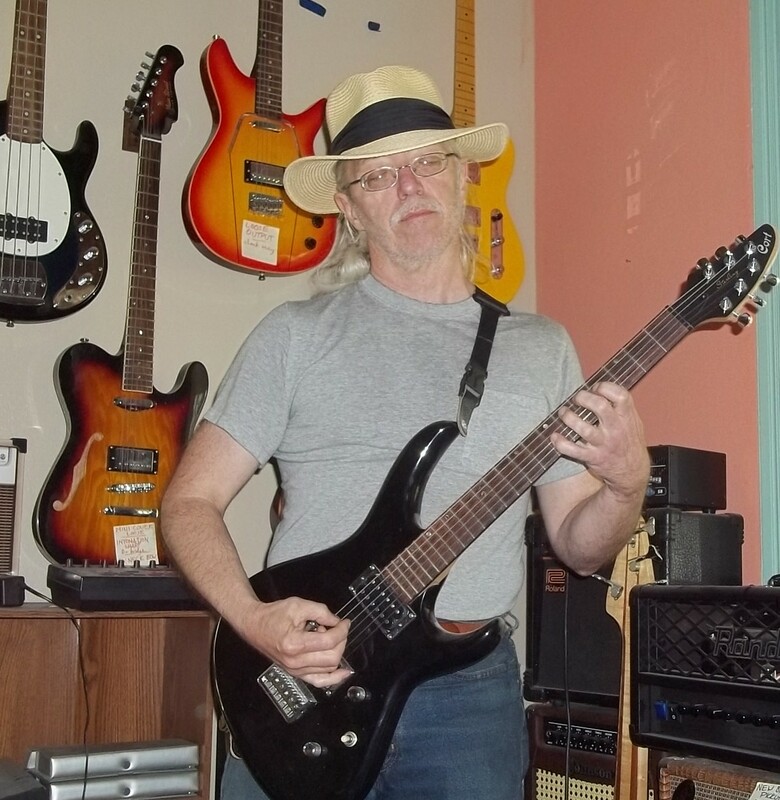 "There is nothing more beneficial than guitar instruction from a musical mentor. I wouldn't be here without mine."